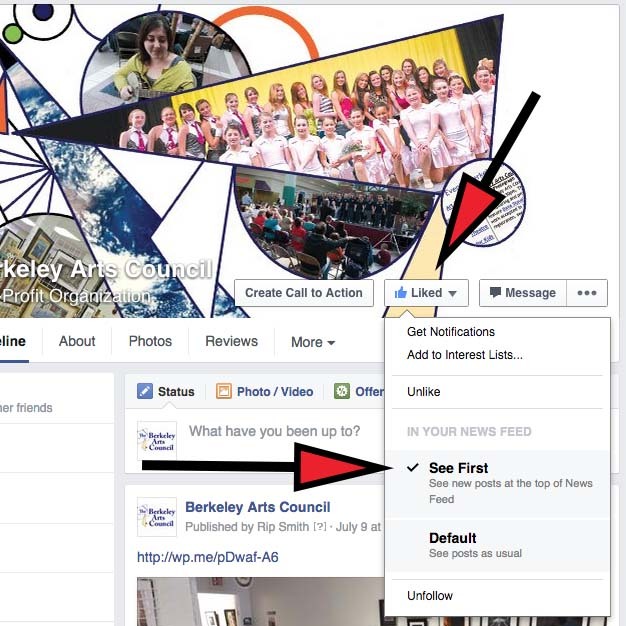 To more than 800 of you who “Like” the Berkeley Arts Council Facebook Page, we thank you for your interest in the Berkeley Arts Council and our activities and programs. Unfortunately, you may not be seeing many of our posts because of the way the Facebook programming limits how many people will see what we post. It is their way of trying to force organizations to pay money to get wider distribution, even among those who have “Liked” the page and want to be kept up to date on the happenings. 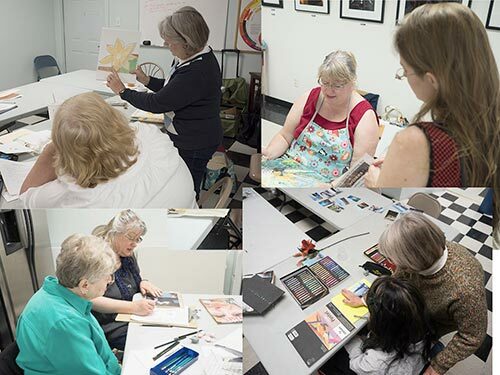 Now, we haven’t been posting cute cat videos or pithy philosophical sayings, but we try to let everyone know about our exhibits, art classes and workshops, and other activities that contribute to the arts community in the Panhandle. See the screen-shot below. If you hover your mouse over the “Liked” button, you will see a drop-down menu. Click on “See First” and that will cause our posts to go to the top of your news feed. It also helps spread the word if you share the post on your timeline to your friends. Thanks for your support of the Berkeley Arts Council! Click here to view accepted artists. Easy entry online. No need to make and mail CDs. 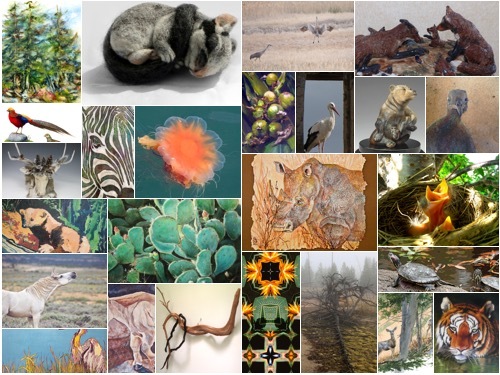 The Berkeley Arts Council in Martinsburg, WV announces the Third Annual Eastern West Virginia Juried Exhibit, to be displayed in the Berkeley Art Works Gallery, 116 North Queen Street in Martinsburg. The exhibition will be on display October 8 – November 8, 2015 with a reception on Saturday, October 17. The Berkeley Arts Council is on the Web at http://www.berkeleyartswv.org.